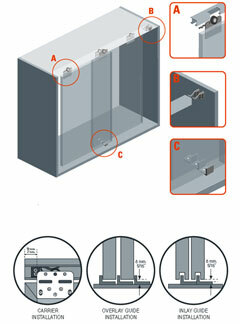 Top sliding system for bypass doors installed overlay the opening. Ideal for wardrobe applications. Track mounted door stoppers with retention devise to avoid bumping and clashing of the doors.